Health Care Service Corporation (HCSC) has named Maurice Smith as the President of Blue Cross and Blue Shield of Illinois. Prior to his new role, Smith was in charge of HCSC’s treasury department and corporate development initiatives, including mergers, acquisitions and the creation of strategic partnerships. He was also responsible for HCSC’s subsidiaries and served as the chairman of the board of directors of Dearborn National Life Insurance Company, which is HCSC’s largest subsidiary. “Maurice brings to this new role a broad perspective and deep understanding of our business and operations rooted in more than 20 years of experience across corporate finance, treasury, business development and subsidiary management,” Executive Vice President and President of Plan Operations Colleen Reitan said in a news release. 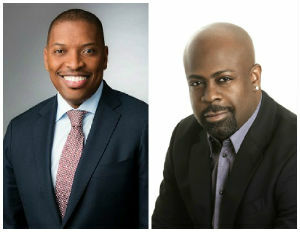 In addition to Blue Cross and Blue Shield announcing a new name to their executive roster, Epic Records Chairman/CEO L.A. Reid announced that music industry veteran, Breyon Prescott, has been named Head of Urban A&R at the company. With 20 years of experience in the industry, Prescott has served as A&R executive, producer and executive producer on multi-platinum projects with Jamie Foxx, Kanye West, Drake, D’Angelo, Angie Stone and Brandy just to name a few. He also serves as President/CEO of Chameleon Entertainment and will continue to executive producer Foxx’s latest project which is set to be released in December. In addition to serving as an executive producer on Jodeci’s new album, The Past, The Present, The Future, Prescott’s role at Epic will include him being responsible for identifying, developing and nurturing new and existing talent for the label while also managing the urban A&R team. Know of any promotions at your company? Have a recent career advancement announcement that you want to make? Send updates to work@blackenterprise.com.